John P. Jones Inc. is an accountant providing tax resolution services across Park Ridge, Oak Park, Cicero, Lincolnwood, Evanston, Kilbourn Park, Chicago IL. Sometimes taxpayer’s with IRS tax problems decide to face the IRS on their own. Sometimes they hire a professional like a CPA, Attorney or Enrolled Agent, but not someone who specializes in tax resolution. The best thing to do when faced with an IRS Problem is to hire an expert in tax resolution so you can get the best result possible. Even if you owe $10,000 or less, have all your income tax returns filed, and are able to pay the amount due over 36 months with a guaranteed a monthly Installment Agreement (payment plan), it’s good to pay a small fee to have a professional set it up for you. Contrary to popular belief, you DO have rights as a taxpayer you probably don’t even know exists. One of those rights is the right to representation. If an IRS revenue officer or revenue agent calls or “visits” you, did you know you are under no obligation to answer any of their (very intrusive and condescending) questions? You politely respond by asking for their contact information and telling them you are in the process of hiring a professional to represent you and that this person will contact them directly. A CPA or EA that deals with IRS problems for a living knows the “ins” and “outs” and how to deal with the IRS so that your rights are protected. A tax resolution specialist also knows how to get you the lowest possible settlement. Generally, our clients never meet or speak with the IRS once we’re on the scene! If you owe between $10,000 and $200,000 plus, the IRS has many NEW flexible programs available to taxpayers such as Offer in Compromise, Partial Pay Installment Agreements, Payment Plans, Penalty Reduction, and Currently Not Collectible Status to name a few. Each carries with it its own unique process, procedures and qualifications. Having an experienced Tax Pro in your corner ensures you are taking advantage of the best options available to you. Having unfiled returns (on average our clients have more than 3 years of unfiled returns) qualifies for getting professional help. Not filing legally required tax returns when due is considered a federal misdemeanor which carries with it a $10,000 fine and potential jail time. Generally the IRS won’t throw you in jail unless the taxpayer is deemed to owe a lot of money and is uncooperative about getting the returns filed. Hiring a professional to represent you is the smartest move you can make here! If you are being audited or about to be – The IRS will ask you about 50 very intrusive questions in the initial interview with them. How you answer these questions will dictate the fate of your case. 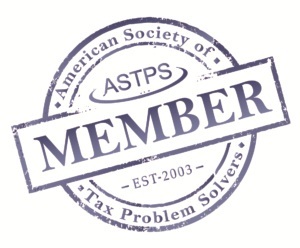 Having a tax resolution specialist conduct these meetings, WITHOUT you is the best course of action I can recommend. Half of the referrals to the IRS’s criminal investigation division (CID) come from that “nice” guy or gal your sitting across the table from at the audit. One last thing….ask yourself this question: Would you go to court without a lawyer? If you answered “yes” hopefully you know the law inside and out concerning your case, but if representing yourself doesn’t seem like a good idea it’s best to hire somebody who is well versed in the subject matter. Well, it’s the same thing with the IRS. Having someone who knows how to negotiate and deal with the IRS may be the best money you’ve ever spent! Consult John P. Jones Inc, Certified Public Accountant providing Tax Resolution Services across Park Ridge, Oak Park, Cicero, Lincolnwood, Evanston, Kilbourn Park, Chicago, IL.